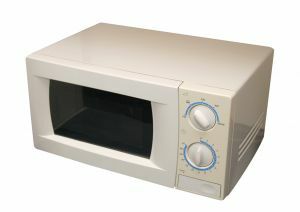 Power The Microwave With Saved Standby? Many homes in Australia are not aware of the true costs of standby electricity. The reason for this is simple, no-one has explained where standby electricity hides and the occurring costs to them. It does not take long for standby electricity in the average Aussie home, to amount to a considerable cost on a quarterly bill.Why? Well remember most appliances using standby electricity are using it 24/7. And that is for 91 days on a quarterly bill! Some homes Aussie Home Energy has visited, have literally 100's of watts, of standby electricity. What we are going to tell you now, is how 50 watts of electrical standby can cost you dearly. Just as important though, is what this energy could be alternatively used for. Roast a chicken twice in a standard oven, every week. Run your pool pump for 8 hours every week. Power a 51cm CRT television, for 16 hours every day. Boil your kettle for 50 hours per quarter. Power two 25 watt lights 24/7. Keep a 15 kWh home running for over a week, once a year. Keep your LCD television going for 8 hours per day. Boil your veggies for 4 hours as well as heat your electric fry pan for 3 hours, every week. Amazing to think that you could be doing anyone of these tasks, for no further cost! Simply by turning off the electrical standby you are wasting and using the same power for a more beneficial use. Do you know what your home is consuming in electrical standby? To start discovering the Standby Electricity and it's related costs, in your home, visit our STANDBY ELECTRICITY page.